Welcome to the fifth issue of the IIUG Alert! The IIUG Alert contains time sensitive material for the IBM Informix community. You are receiving it because you are an IIUG member or a local Informix user group leader. Please provide feedback via e-mail to ug@iiug.org. Survey: How Can IBM Informix Help Your Growing Business? IIUG Board Elections - Time to Vote! Registration has gone live for the IBM Informix Conference (IIC), which will be held next October 21-25 in Las Vegas, Nevada, USA, at the MGM Grand hotel. This year's conference theme is "The Next Step", with a special focus on IBM's commitment to continued support and enhancement of the Informix product line. The featured keynote speaker is Janet Perna, General Manager, IBM Data Management, and special features include on-site certification, interactive product roadmap discussions, and product-specific Ask The Expert sessions. 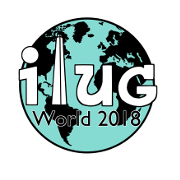 As it is now traditional, IIUG Members will receive a $200 discount for IIC registration, but you MUST update your IIUG Profile prior to registering for the Conference. Update Your Profile and Vote for the 2001-2002 Board of Directors. The next few years as the Informix culture interacts with IBM will be the most critical in the history of IIUG, and you can select whom you want to represent you in those discussions. IIUG Board elections are being held through September 15, 2001. All IIUG members as of July 20, 2001 are eligible to vote. As an extension to our annual Informix User Group Leadership (IUGLC) meeting, IUGLC Members are invited to a dinner on October 22nd, featuring Janet Perna, General Manager of IBM's Data Management Group. The annual IUGLC meeting will take place on October 21st. All Local User Group Presidents are invited to attend IUGLC functions. Please, RSVP to ug@IIUG.org at your earliest convenience to receive additional details. The IIUG server is finally back on its feet! We regret any problems that might have occurred during the transition, especially during the past week. But we are back home with an updated server that includes more disk space, more memory and a dedicated tape drive. Also new is a D4GL-based membership system, which makes joining, voting and updating membership information a breeze. We would like to thank Advanced Data Tools Corporation and Four Js Development Tools for sponsoring the services and products that have made this server update a reality. A current and complete membership database enables better services and more robust representation. Not to mention the availability of benefits such as the $200 IIUG member discount for the IBM Informix conference. In order to insure that all IIUG members have updated their membership information, IIUG will initiate a campaign through e-mail, fax and printed material requesting a visit to the Membership Update Page. If you haven't updated your membership profile yet, please do so ASAP. Thanks!